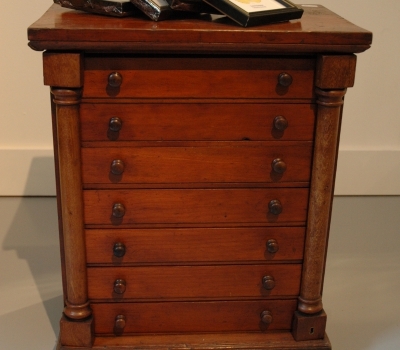 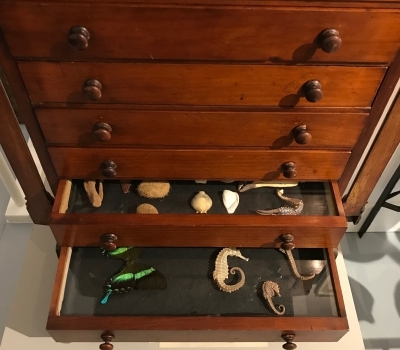 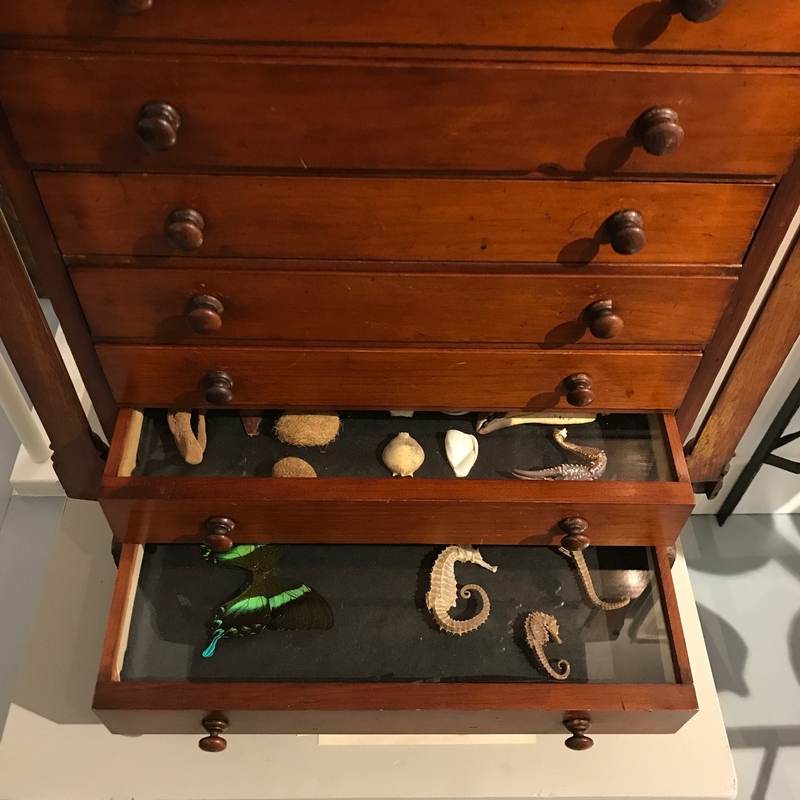 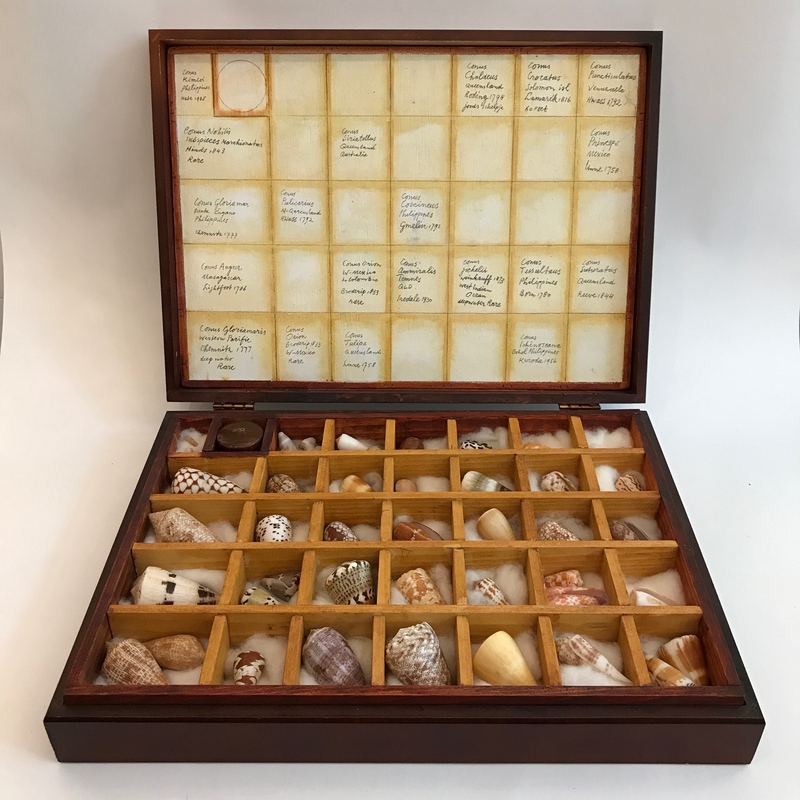 Antique collector specimen cabinet for entomology, malacology or other valuables, in Victorian style. 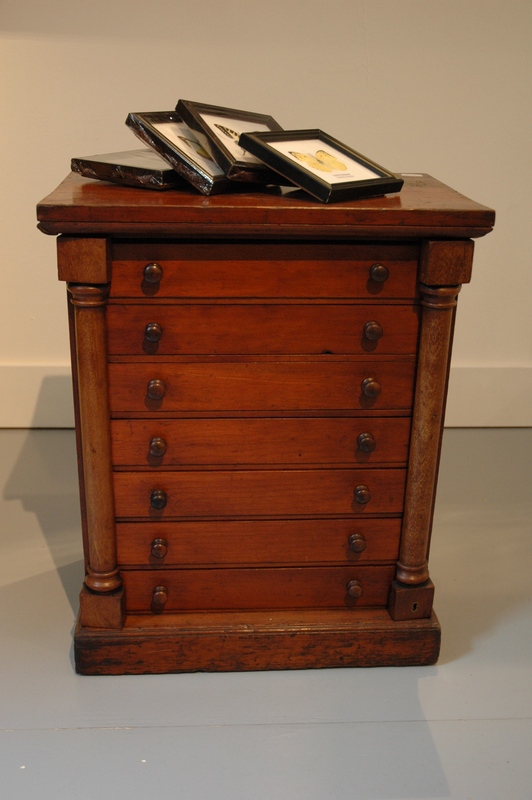 Two rotating pillars enclose seven drawers with glass covers. 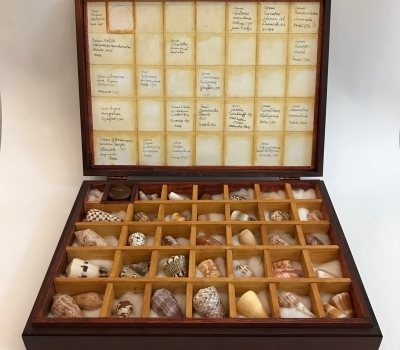 Collector specimen case. 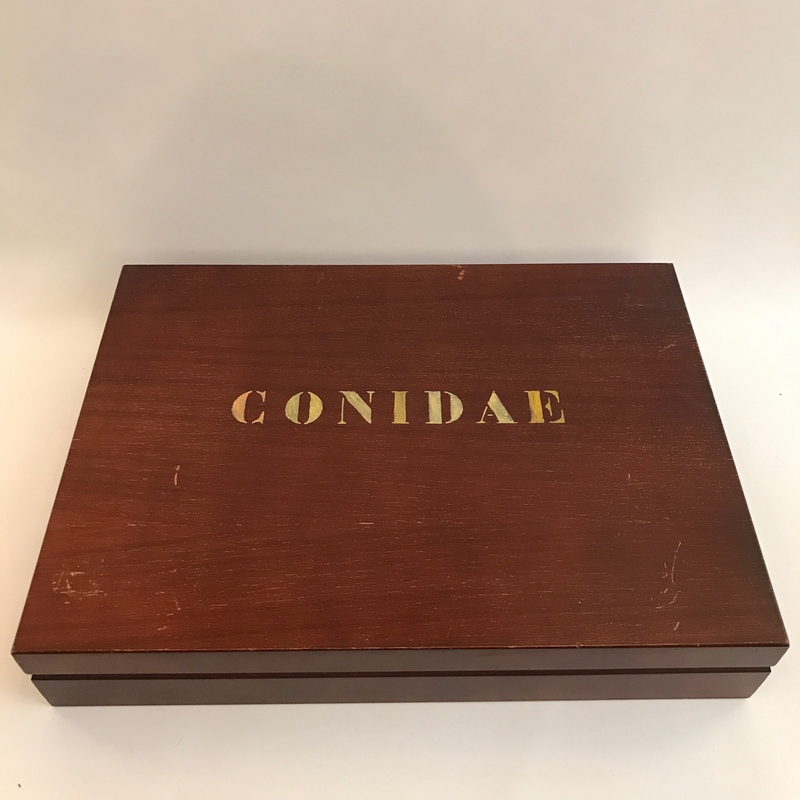 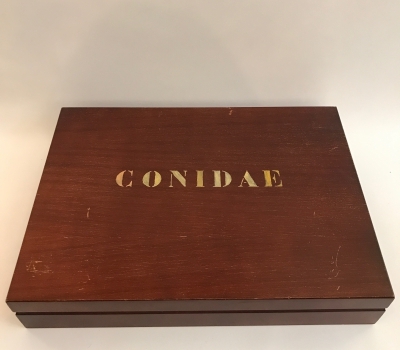 Collection of Conidae.